The Workers Compensation Attorneys Group brings together top quality attorneys who specialize in workers' compensation and personal injury cases in Southern California. When working with the attorneys participating in this joint marketing program, you can rest assure that you have the most qualified lawyers who specialize in California workers' compensation and personal injury cases as your advocates. 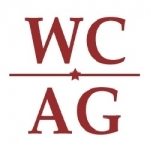 The workers' compensation attorneys at the Workers' Compensation Attorney Group's of San Diego joint marketing service have handled hundreds of workers' comp cases. They've seen a case like yours, and they can stand beside you to help you through the often confusing and intimidating legal process.